In 1911, automobile and truck use was starting to become widespread, and the world was on the brink of its First World War. A small company was started when patented gear-driven truck axle inventor Viggo Torbensen teamed up with Joseph Oriel (J.O.) Eaton, an aspiring young businessman, to found Torbensen Gear and Axle Company, the precursor of today’s Eaton. More than 100 years and several wars later, Eaton’s mission is to provide safe, reliable, efficient, and sustainable power management solutions for its global customers, and the company proudly employs a diverse workforce and honors members of the military by recruiting top-tier talent transitioning into civilian life. At Eaton, sustainability is not a program or initiative – it’s part of the business acumen and an increasing part of the company’s success. Eaton has been “Doing Business Right” for years, and the company continuously develops customer solutions that drive sustainable growth around the globe, including efficiently using and conserving global resources, developing energy-efficient products, reducing emissions, protecting the environment, and volunteering time to help build stronger communities. When J.O. Eaton helped start the new company in Newark, NJ, he provided an acute business sense, but lacked practical automotive experience. Having left the men’s clothing business to provide the financing for the original truck axle business, Eaton never learned to drive during his long career with the automotive industry. He allegedly got into an electric car once, pulled the lever, and ran into the garage. He got out and never attempted to drive again. This lack of knowledge was not enough to deter Eaton from pursuing a career in the automotive business. Even though the company only sold seven axles in the first year, Eaton soon moved operations to Cleveland, OH, to be closer to the fast-growing automobile industry in the Midwest and maintains a presence there today. By 1916, the company produced more than 10,000 axles – many of which were installed on the U.S. Military trucks shipped to Japan during World War I. In 1923, Eaton took the company public to raise money to acquire other growing companies – a key to his growth strategy. Even when the Great Depression hit, Eaton had enough cash reserves to continue acquiring other companies and to keep the company in good economic health. Eaton came out of the Great Depression stronger than ever and expanded its manufacturing to include airplane engine valves. During World War II, Eaton was once again part of supporting the war effort and provided man y jobs to women while their male counterparts were overseas. After the shift to peacetime, Eaton continued its growth strategy and made a major acquisition in the electrical industry with the purchase of the Dynamatic Corporation, a manufacturer of electromagnetic drives. This acquisition strategy continued throughout the 1970s. In 1981, Eaton business groups were streamlined into three product groups: Electronic and Electrical, Vehicle Components, and Materials Handling. In 1987, Eaton was named to the Fortune 100 for the first time. Then in 1994, Eaton acquired Westinghouse Electric’s distribution and control business unit for $1.1 billion. The acquisition tripled Eaton’s presence in the industrial control and power distribution industry, which positioned Eaton as a worldwide leader in electrical distribution and control equipment. 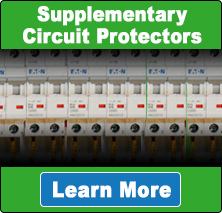 Even now, Eaton’s popular molded case circuit breakers are involved in every aspect of providing and controlling power both on and to the factory floor. The products and services provided by Eaton meet or exceed all electrical/industrial/aerospace/military standards and feature the highest level of excellence. The company’s power management solutions enable land, marine, aviation, space, and weapon systems to maintain safe and dependable power management for all customers, including federal, state, and local governments, the U.S. Military, and our allies overseas. Eaton’s “military friendly” employer efforts have been recognized by CivilianJobs.com, which named the company a finalist for the 2014 Most Valuable Employers for Military® Award. The recognition helps military-experienced job seekers and veterans identify the top employers to target for civilian careers. In April, 2015, Eaton was named to the Military Times Best for Vets: Employers 2015 list in recognition of the company’s efforts to connect with veterans and provide an environment for them to succeed. Eaton envisions data centers safeguarding unimaginable amounts of information, increasingly automated manufacturing, expanded global commerce, a smarter grid, and less energy dependence. The company is developing solutions that anticipate customer needs with products on the leading edge of technological innovation and sustainability while continuing to drive reliability, efficiency, and safety. Today, through additional acquisition activity, Eaton has become a global power management company with 2014 sales of $22.6 billion. 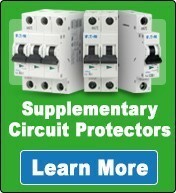 With world headquarters in Dublin, Ireland, and regional headquarters in Cleveland, Ohio, USA; Shanghai, China; Morges, Switzerland; and Mexico City, Mexico, Eaton provides energy-efficient solutions that help its customers effectively manage electrical, hydraulic, and mechanical power more efficiently, safely, and sustainably. Eaton has approximately 102,000 employees worldwide and sells products to customers in more than 175 countries. 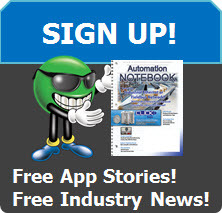 In addition to new products, Eaton also is committed to its customers and employees both now and in the future.